Tubey Toys Review: Video and Toy Review: Ocean Pets Virtual Aquarium by Pai Technology - Open Give Away on Instagram! Video and Toy Review: Ocean Pets Virtual Aquarium by Pai Technology - Open Give Away on Instagram! 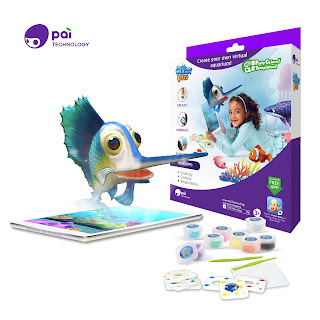 Ocean Pets by Pai Technology allows you to make aquatic animals come to life with included fish molds, colored putties, and an easy step by step process on the Ocean Pets app! Scan your fish with your smart device and add them to your virtual aquarium! Feed, play and care for your fish just like you would a real pet. You can also put your fish to sleep. While your fish is sleeping, take a look at all of the fun facts about each fish that you created. You can even go for a "swim" using AR technology - Augmented Reality is a fun way to turn your 2D world into a full experience! Kids will love to watch the video and photos of themselves in the "water" with their ocean pets! Products by Pai Technology are affordable, educational, and lots of fun! You can purchase now just in time for Easter, or try your luck and win one your own Ocean Pets set! Head over to our Instagram @tubeytoys to learn more on how to enter! Ocean Pets is such a great tool, and I am so happy to be able to share an Ocean Pets by Pai Technology with one of our Instagram followers! Check out our latest video on YouTube where Marcello went for a swim with his virtual pets! Once you follow all of the rules, you’re entered to win one Ocean Pets set - all you need is a smart device to play! Ocean Pets by Pai Technology comes with everything that you need to start your virtual aquarium! Easy peasy! Give away is for US residents only. Give away ends on April 20, 2019. Winner will be announced on April 21, 2019, on Instagram publicly. No private accounts, please. This give away is not associated with Instagram or YouTube. The prize will be furnished by Pai Technology. 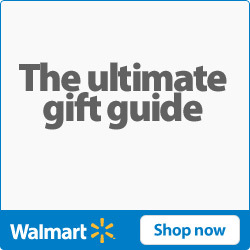 Tubey Toys Review is hosting this give away to their awesome followers!